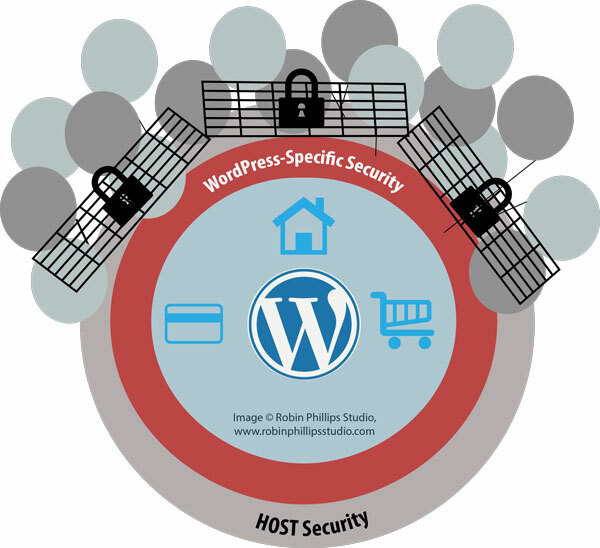 How Can a WordPress Site Get Attacked? Email Sign Up or Registration Forms > spam email signups, often with numbers in the name field (which usually indicates a spam-bot) and fake email addresses. Even if your site hasn’t been hacked or spammed, the following tactics are important to fend off attacks in the future. Yes, the steps here can feel a bit tedious, but it is worth it! ☑ Update your WP theme and plugins often. If a plugin developer doesn’t release an update for over a year, find a replacement plugin that is more current. Updates often have important security fixes. ☑ Install a highly rated spam plugin. Make sure the plugin supports your specific contact forms and email sign up forms. Avoid adding a URL blank on your contact form unless absolutely necessary. ☑ Disable comments on pages, media attachments and optionally on posts (manually or with a plugin). Review your Discussion menu settings. ☑ Create a secure username/password for your login that is an unrecognizable combination of letters + numbers that is at least 10-12 characters long. Type in a nicename/nickname that will show in place of your username on posts. ☑ Consult your web host or a web developer for further security methods for your site ( SSL, more secure hosting plan, …) Google now labels sites as ‘insecure’ and lowers the ranking for sites that do not have an SSL. Also, verify an SSL is installed right. A padlock will appear on all pages of the site if it is.
? Download a backup of your site as often as you feel is necessary. This will be your lifeline if your site is hacked or the host has technical difficulties. Sometimes sites break after updates that don’t install right – your backup will come to the rescue. If you don’t know how to do this correctly, install a backup plugin and set it to email you a backup.
? Resources- When searching for free tips/articles, rely most on recent posts in the last year or so. Keep in mind that web development info becomes outdated fast.
? Recommended products- As an independent designer, I don’t usually endorse a list of brands/companies on my blog. In my experience, things can change rapidly and it’s best to see first hand what works well! When searching for hosts and plugins, research actual user’s recommendations. There are a lot of paid marketing articles on the internet. If the above sounds overwhelming or you would like professional advice about your site, I welcome you to contact me for a free 15 minute consultation.